2017 is well underway. As the year progresses, more and more restaurants are making the switch to online marketing. Why? Well, in today’s digital age, customers are increasingly skipping the in-person experience of traditional dining and opting for a quicker and more convenient method of dining. If you have not yet adopted an online ordering system, or if you have, but you’re not sure what’s on the cutting edge these days, then hopefully we can help. Here are some of the hottest and most recent trends when it comes to online ordering. Honestly? We could just about stop this post after this one, because the use of a restaurant-specific mobile app is, without a doubt, the biggest thing going these days. If your restaurant does not yet have an app, then you are already behind the times. You owe it to yourself to get one as soon as possible to catch up. Why? Well, an online app gives you and your customers a dedicated path of communication. It’s a way for you talk directly to your customers by giving them a personalized experience every time they log on. At the same time, it’s the perfect way for you to get information directly from and about your customers. That way, you know what they want and how you can best make their experiences with your restaurant satisfactory ones. It doesn’t stop there, though. Your mobile app gives you a way to interact with your customers and entice them to return, and loyalty programs are a great way to do this. By giving your customers a reward for using your mobile app, you give them the feeling that they are getting a good deal. That feeling makes them want to return to your restaurant again and again. In addition, people love to share their good fortunes with others, so they are more likely to talk about your app with their friends and family. One of the great things about these loyalty programs is that they can take so many different forms, which means that you can really make the rewards program tailored specifically to your restaurant. Some restaurants now even give their customers a choice of what type of rewards they’d like to receive, whether it’s in the form of food discounts, merchandise, service upgrades or something else. “Algorithm” is the buzz word these days when it comes to online ordering. What does it mean? Basically, it means using computer programs to analyze your past to predict future behavior. For example, if a customer has a habit of ordering certain foods at certain times, or always ordering lunch on a Friday, or anything like that, the app can notice those trends and behave accordingly. The app can send specialized discounts for those items or meals on the appropriate days. Not only will this reward the customer for continued service, but it will also help to provide a gentle “nudge” to the customer. 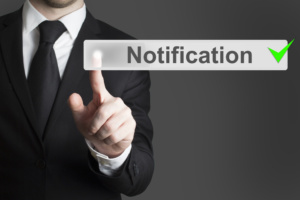 Another trend that comes directly out of the mobile app is the use of push notifications. Not content to just sit there on the home screen and wait to be used, apps can now initiate contact by sending notifications to users. These notifications can take the form of simple reminders (“Hey! It’s been a while since we’ve seen you!”) or advertisements (“It’s time for lunch! Why not stop by?”) These notifications can even sync with a customer’s GPS to remind them when they’re close to your restaurant (“Hungry? We’re right around the corner!”). Of course, while these notifications can be very helpful, they can also be very annoying to some people. Definitely make sure you include the ability for a customer to adjust the types of notifications they receive. The final trend that needs to be mentioned is that of getting social. Why not turn your online experience into a community-building activity? By posting social messages and videos, you give customers a chance to go “behind the scenes” of your restaurant. Feature a member of the waitstaff, show a chef preparing a signature dish, or post quick, funny day-in-the-life videos. Regardless of the content, these sorts of posts help customers feel a more intimate connection with your restaurant. This is important since online ordering can often turn the process into a much more impersonal venture. So, if you’ve been reading this and realizing that your own online platform is not with the latest trends, it’s time to update. That website that you were so proud of 10 years ago might have been state of the art then, but there’s a good chance it’s not doing you any good these days. If you are ready to take this step, but don’t know how, please don’t hesitate to contact us today. We have the experience and knowledge needed to put your restaurant at the front end of the latest online trends.